How do you seed a player like Serena? It seems the entirety of the tennis world is asking the USTA that question, and everyone has their own (detailed) opinion, including this guy. So what's Blacklabel Tennis' take on the matter? Guess what, it doesn't matter. The week before the US Open should be an opportunity for the tennis cognoscenti to catch its collective breath before the year's final major, to stop and smell the brewing upsets, but there always seems to be another story requiring breathless dissection. This year, the annointed pre-tourney talk is around Serena Williams and where she'll be seeded for the US Open. For those not following closely, Williams was the WTA's No. 1 ranked player during last year's tournament and would have been the top seed, though she was famously forced to withdraw with injury. 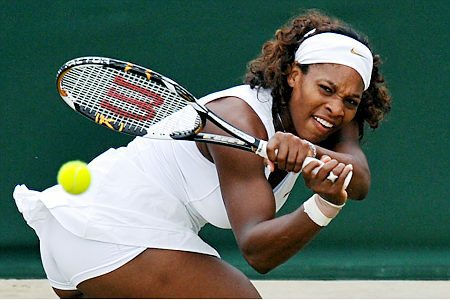 Having missed eleven months due to injury and with only five tournaments under her belt, Williams' 2011 record is 16-3. She has two titles and ranks 29th in the world. I have a pretty good understanding of the tennis rulebook, but I remember having to ask when both Juan Martín del Potro and Serena Williams came back from their nearly year-long stints on the disabled list whether or not their protected rankings came with protected seedings. Protected rankings are given to players off tour with injury for more than six months to allow them direct entry into tournaments. It's one of the precious few safety nets afforded on the "eat-what-you-kill" pro tennis tours. It stands to reason that if the ATP and WTA rankings are used to determine both entry into a tournament and its seedings, that any provision to override the actual ranking, like a protected ranking, would simultaneously override seedings as well. No such logic. del Potro's protected ranking was No. 5 upon his return, Williams' is No. 1, both would return to the tour without protected seedings. What does this mean? It means all the pundits and fans are left to wonder whether or not the USTA will seed Serena above her accurate, if ludicrous ranking of No. 29. The entire premise of seeding being the protection of a tournament's biggest drawing cards, the highest ranked players in the event, from early round losses to other top players in the otherwise random draw. Del Potro certainly could've benefitted from being seeded higher, were he seeded 5th, he would've avoided his eventual conquerors in Paris and London (Novak Djokovic and Rafael Nadal, respectively) until the quarterfinals at the earliest, instead he lost relatively early to players he would've otherwise avoided. With all due respect to the Argentine, DelPo is no Serena. Serena Williams has lost three matches this year, she lost to World No. 3 Vera Zvonareva at Eastbourne in literally her second professional match in a year. She lost that match 7-5 in the third set. No. 9 ranked Marion Bartoli scored a 6-3, 7-6 (6) victory over the younger Sister Sledgehammer at Wimbledon, Williams' second event back. The one match Serena's lost since then is one she didn't show up to play, begging out of Cincinnati with a Kardash-...I mean, toe injury. Sure, I could make a case that Serena deserves to be seeded anywhere from No. 2 (as a co-No. 1 in the vein of Monica Seles) to No. 23, Serena's position in the Race to the Year End Championships and I'd have plenty of facts to back it up. The fact is, it doesn't matter. Whom exactly are we protecting Serena from with a higher seed? World No. 4 Maria Sharapova, who Serena thrashed 6-1, 6-3 in Stanford? 10th ranked Samantha Stosur, who Serena beat 6-4, 6-2 for the Toronto title? Caroline Wozniacki? Ha. If anything, the reverse would be true. Serena Williams may or may not win this US Open, but she won't lose it because of her seeding. If any player is going to come out ready to play no matter who's across the net, it's Serena Williams. Also, seeded 29th or 2nd, there are precious few players that a healthy, motivated Serena Williams will fear on a hardcourt. This is the same player, who, unseeded and ranked 81st in 2007, knocked off five straight top 20 players to win the Australian Open. 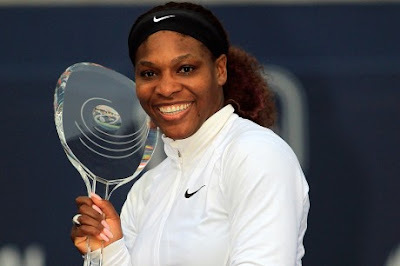 Should the USTA seed Williams above her ranking? Yes, as I said before Wimbledon, I'd probably put her in the top eight. But in the absence of defending champ Kim Clijsters, who's worried? Only the seed who draws Serena early. Now that Kimmy's dropped out put Serena as #3; the top two stay rewarded for their consistent play and nobody from #4 down gets displaced. Stylist Outfit Suggestions: Sweaters are one of the most chanel outlet waste clothing. You can dress them up or down. For a casual look, wear your cardigan with a pair of wide leg jeans and some bangle anklet bracelets. These clothing suggestions are chosen for expectant mothers who wish to create a slimming look, stay trendy and most gucci replica, feel beautiful. When you're wearing something you don't feel good in, it will show. There's no reason why you can't look stunning while being pregnant. Leather is the most sought after items today in everything. Be it dress, shoes, belt, louis vuitton replica, gloves, purses etc in all leather are highly preferred. It is one of the top recommendations for people today. And why not, after all it is such a classy fabric that it deserves this honor. Leather is so much in demand and it looks very classy and elegant too but still it has one disadvantage and that is its strong smell. Particularly when leather is new it smells very high. It is a big lunchmoney off for people. Be it any kind of leather i. e. natural leather or synthetic leather or man made leather this bad smell is common amongst all. And leather smells worse if become wet. And if you are great admirer of hermes replica dress this disadvantage can create many problems for you as no one will want to come in your area. Members of outstanding calendar moon phase rolex replica watch will display the date combined with this one phase glashuttee replica watches uk classic original function. Moon run round silver at 10 points and 11 points between the arc window. The disc is produced by the cumbersome manual in F Faure F Haim's own factory has over 122 years of replica rolex dial, precision. Diamond carefully cut the moon elegant curve, in the little bit of the background of the electroplating blue background of the stars.